News tip? Let us know! 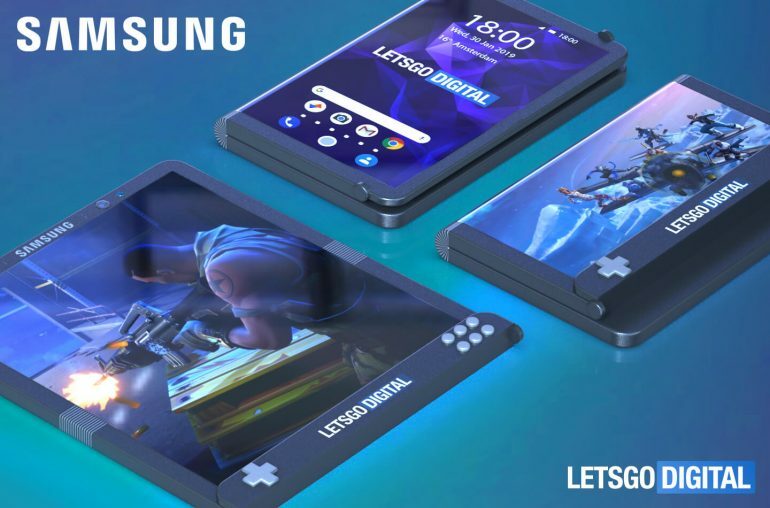 The ultimate gaming smartphone: Samsung patented a foldable smartphone with gaming buttons, which you can easily hide when you're not gaming. 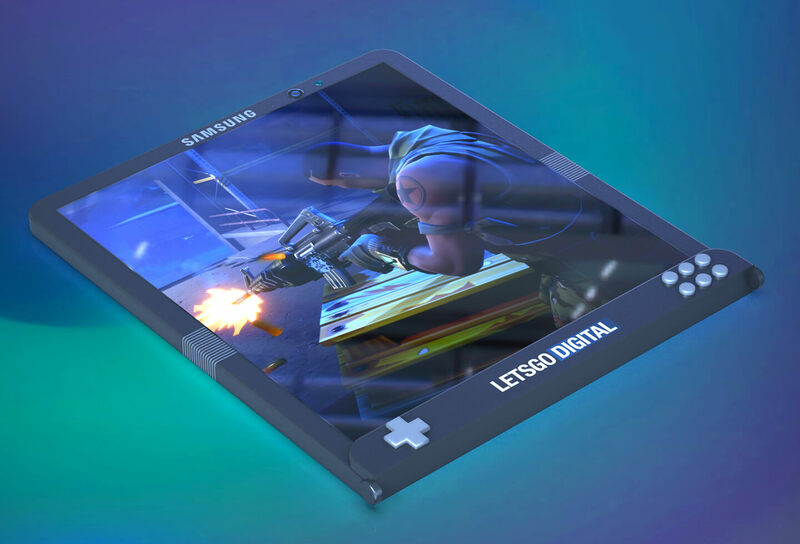 Late last year the rumor arose that Samsung has a gaming smartphone in development. 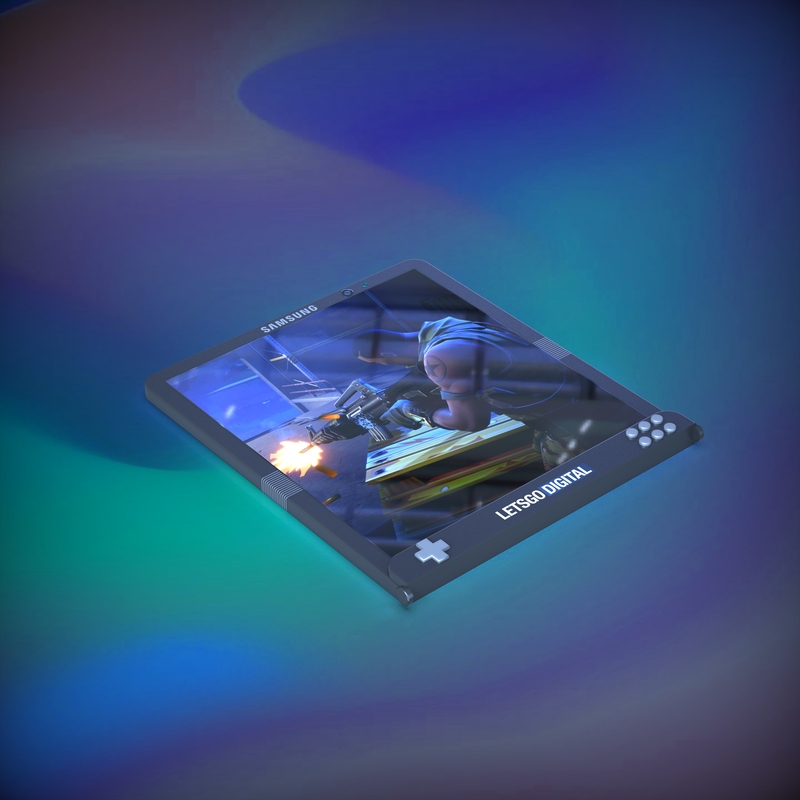 Which is in itself, of course, not surprising, since mobile gaming is a huge trend. 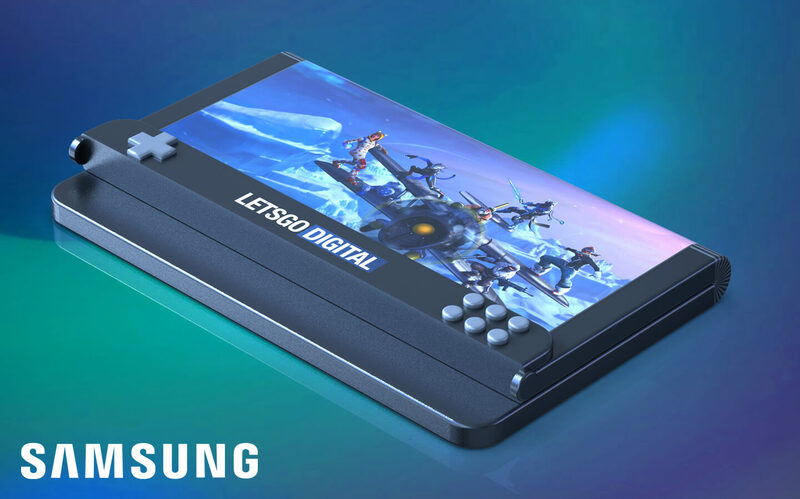 It is as yet unknown when the Samsung gaming smartphone will be launched, it is also completely unclear how this phone will look like. Could this be the new gaming device the Koreans want to surprise us with? A new design patent from Samsung has just been published. The patent shows a phone with a flexible screen and dedicated gaming buttons. 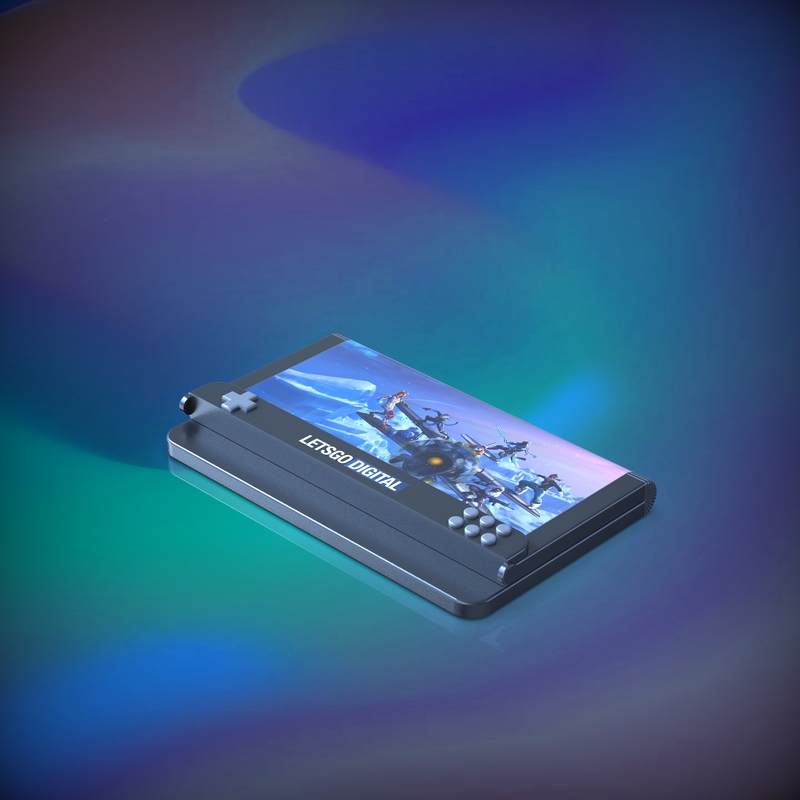 To give you a realistic representation of the patented product, LetsGoDigital has created a number of 3D renders based on the patent. At the end of 2017, Samsung Display filed a design patent with USPTO (United States Patent and Trademark Office) for a ‘Display device’. The patent was published on January 29, 2019 and includes a series of images of a foldable Samsung smartphone. When the smartphone is folded, the display is on the outside. We have seen this design more often in recent times, such as from Huawei and Motorola, but also from Intel. However, Samsung has come up with something special for its flexible display. When folded, you can bend a small part of the screen, causing the gaming buttons to appear. On the left side a D-pad has been placed. On the right, we see six small buttons. Perhaps these buttons can also be used for other purposes. In any case, it is a very creative solution. When you are not gaming, these buttons are not in the way at all. When you do want to play a game, you can start immediately, without having to connect a gamepad accessory first. You just have to flip the display slightly. 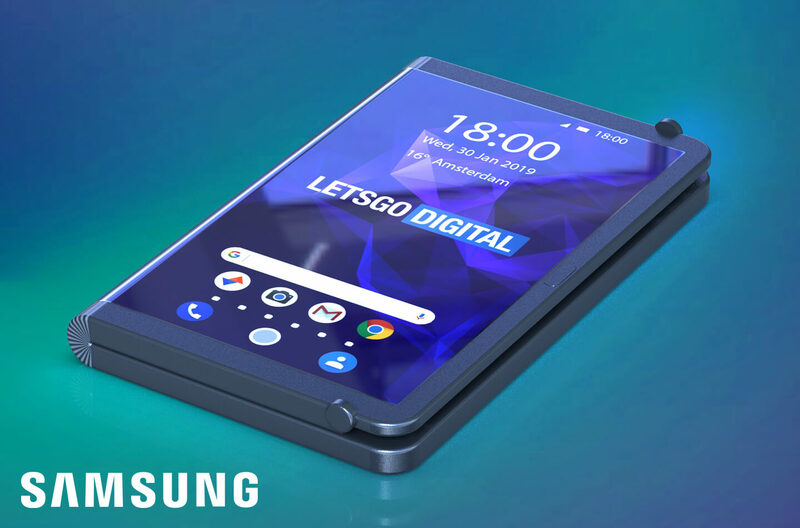 Samsung will most likely unveil its foldable smartphone next month at the Galaxy Unpacked 2019 event, presumably this will be the Samsung Galaxy Fold. For the record, that is not this gaming smartphone. The Galaxy Fold features a 4.6-inch display at the front. When you open the phone, a 7.3-inch AMOLED display unfolds. Wondering how this phone will look like? 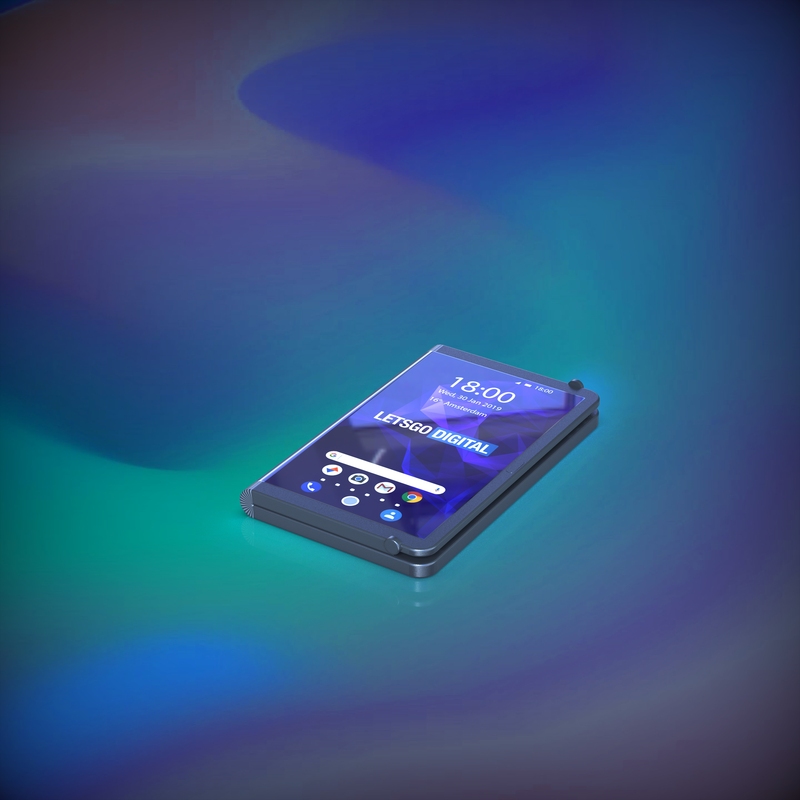 Last year, LetsGoDigital already designed some 3D renders of this Samsung foldable smartphone. Technically, it is more difficult and more expensive to process the display on the inside than on the outside. This could very well be reason for manufacturers such as Huawei to opt for a design where the screen is on the outside. 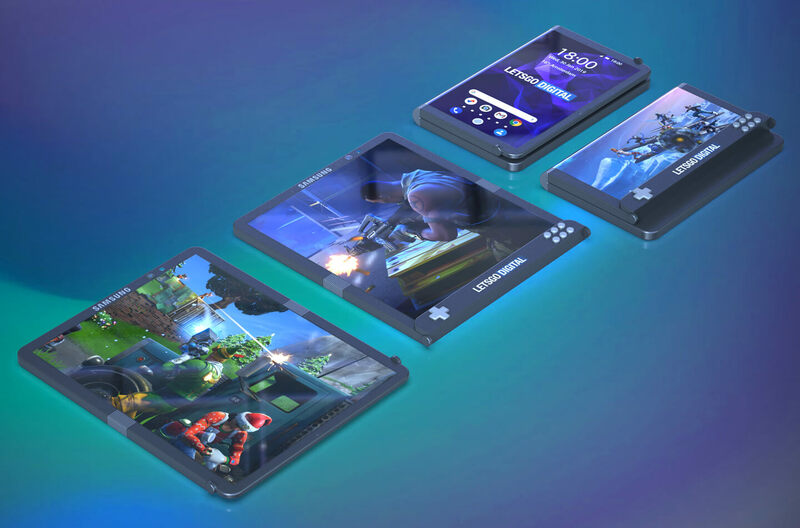 Perhaps Samsung will eventually also bring such a foldable phone on the market, the extra game buttons would than obviously be a nice sales argument. Here you can find the patent of the foldable gaming smartphone from Samsung. 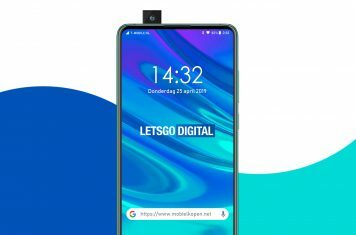 Note to editors: The 3D renders presented in this article are copyright protected and created by LetsGoDigital, based on the patent from Samsung. The images can be used for reproduction in any online publication if you add a credit source link to our web page. 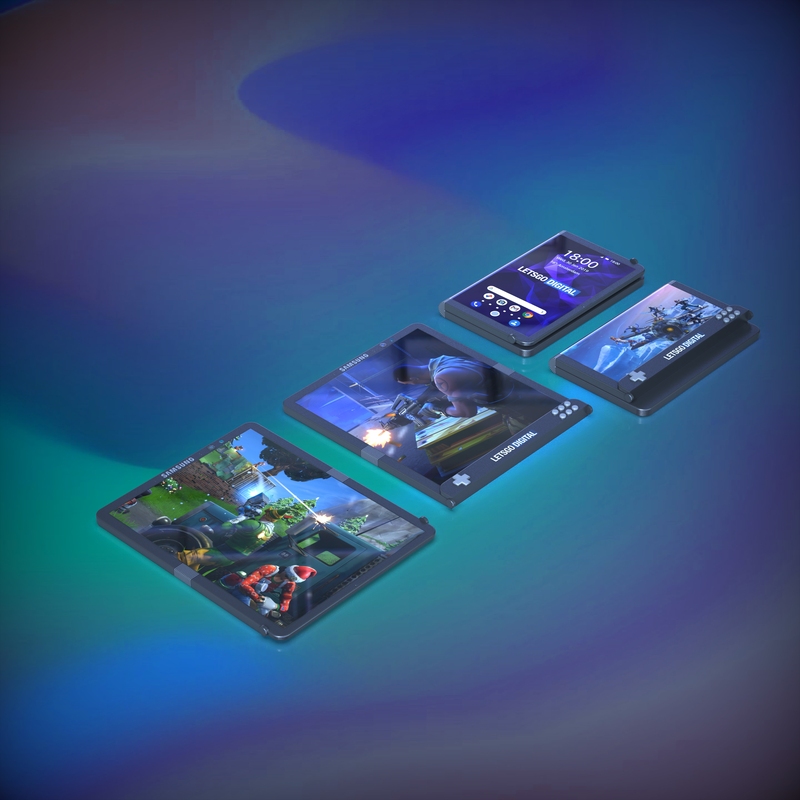 Producing render artwork takes a lot of time and effort, we therefore ask you to respect this rule. Thank you very much for understanding. Ilse joined LetsGoDigital about 15 years ago. She is a true tech-girl and loves to talk and write about the latest consumer electronics. Ilse has a special interest for smartphones, digital cameras and VR. Technology is developing very rapidly. We’ll keep you posted on all the latest news in technology and lifestyle. Spread the word!